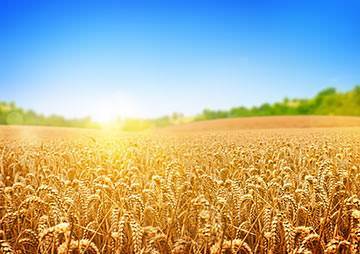 Have you ever walked through a field of wheat at harvest time? How tall and straight the golden stalks stand—you can scarcely see over the tops. If you stoop down you can look between the stalks and see the scarlet poppies growing here and there. Perhaps you have picked one of the fat ears of wheat and rubbed it in between your hands until the hard yellow grains come out of the husks. Then, pff! 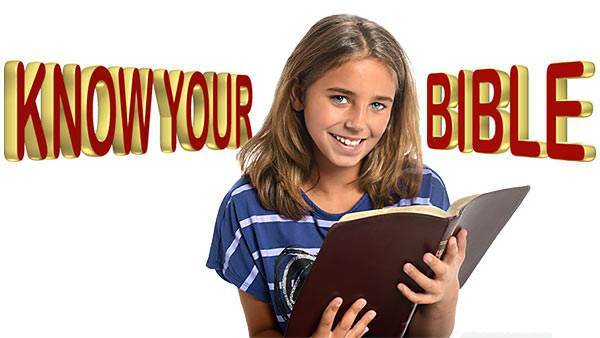 you blow away the husks, and the grains are left in your hand. How good they taste when you pop them into your mouth and bite them! It was the time of the wheat harvest in the land where Jesus lived. Jesus and His friends were going to the synagogue church to praise God for His harvest gifts, for it was the Sabbath (like our Sunday). They had a very long way to walk to the synagogue. They laughed and chattered as they went, and talked about the good harvest. 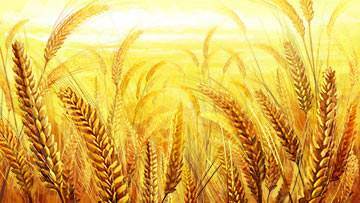 Just before they reached the little town of Capernaum they entered a large grainfield. 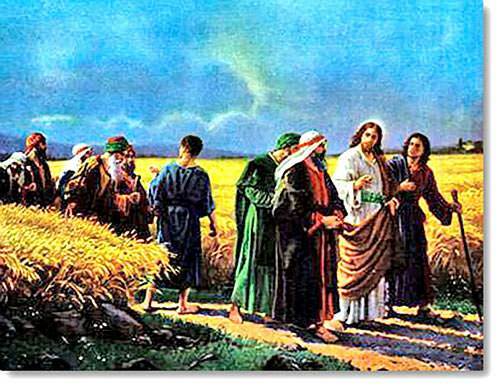 "Here is a fine field of wheat," said Peter, "see how fat the ears are, and how tall the stalks." "Yes," said James, "the farmer will reap a good harvest. I should think he could spare us a few ears—I’m so hungry." James stopped and picked one of the ripe golden ears, and began to rub it between his hands. Some of the other friends did the same. When the grain was separated James held out his hand and the breeze blew away the light husks. 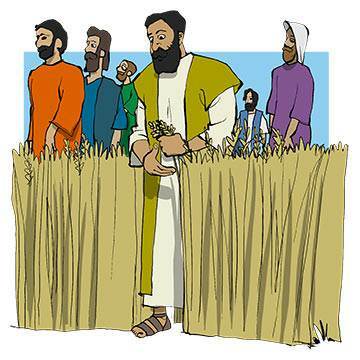 Jesus smiled and said, "It’s a good thing that the law allows the hungry traveller passing through a field of wheat to pick and eat enough to satisfy his hunger, otherwise you would go hungry to the synagogue."